The total number of births in China last year dropped by 2 million from 2017, the National Bureau of Statistics announced at a news conference on Monday. The massive drop — from 17.23 million to 15.23 million — indicates that China’s birth rate last year was the lowest the country has seen since famine-stricken 1961. 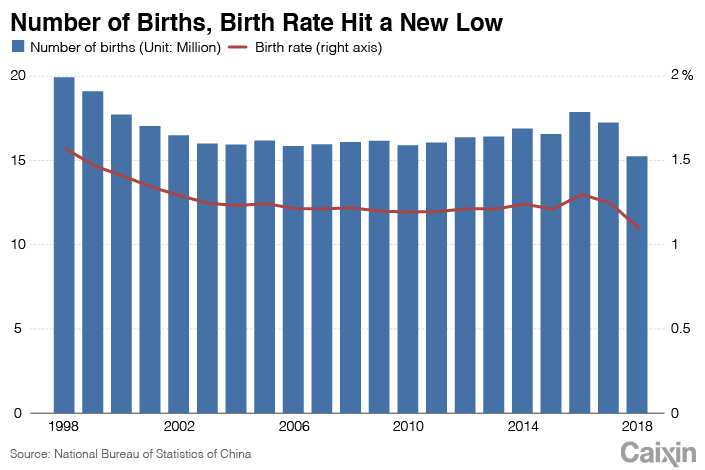 Some demographic experts began predicting that the number of annual births would drop by about 2 million at the end of last year, but the confirmation from official statistics is a stark reminder that China is facing a population crisis. 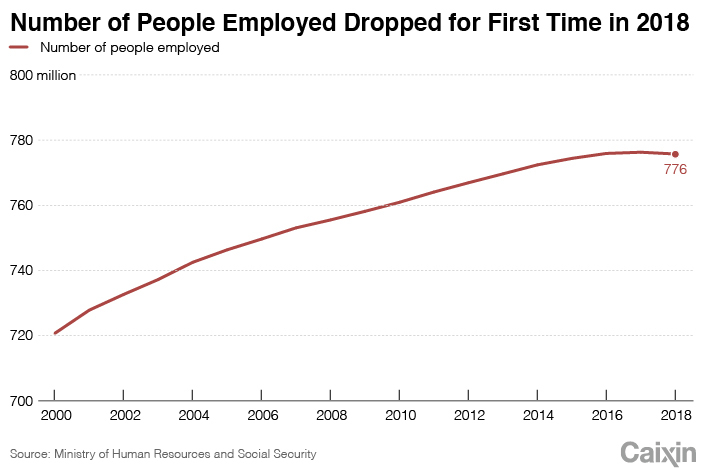 An aging population and shrinking workforce will cause major strains on the economy and welfare system. The director of the statistics bureau said at the news conference (link in Chinese) that such birth data should be observed over longer periods, and that there was “no need to over-interpret” data from only one year. However, this year is the third consecutive year of decline. After the “one-child policy” was abolished and replaced with a “two-child policy” in 2015, there was a spike in the number of births the following year — but this has declined since. According to NBS data, the total number of births in China in 2015, 2016 and 2017 was 16.55 million, 17.86 million and 17.23 million respectively. The National Bureau of Statistics did not release fertility figures for 2018, but the significant drop in births will mean that the total fertility rate, or the average number of children a woman will have in her life, will have dropped again. The 2017 rate was 1.24, well below replacement-level fertility — the rate at which each generation would exactly replace itself — of 2.1. By contrast, the fertility rate in Japan, known for its aging and shrinking population, was 1.43 in 2017. In 2015, the former National Health and Family Planning Commission had experts from Renmin University, the Chinese Academy of Social Sciences, and the China Population and Development Research Center measure the potential effects of a two-child policy on the birth population if the policy were to be adjusted. Four forecast reports and general reports were formed using different methods and calculations. Wang Guangzhou, a researcher at the Institute of Population and Labor Economics of the Chinese Academy of Social Sciences, contributed to one of the reports, which was the most pessimistic forecast of the number of annual births in the case that the two-child policy was implemented. His report predicted that the lowest number of births in 2018 would be 16.52 million. 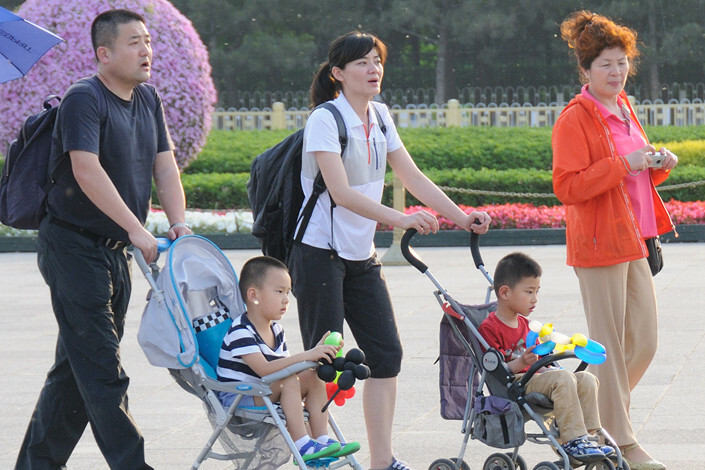 Without the two-child policy, the estimated number of births would be about 14.64 million, his report found. According a report published earlier this month by the Chinese Academy of Social Sciences, even if the total fertility rate were to hold steady at 1.6, negative population growth — a situation in which the number of deaths outnumber new births — will occur before 2027. 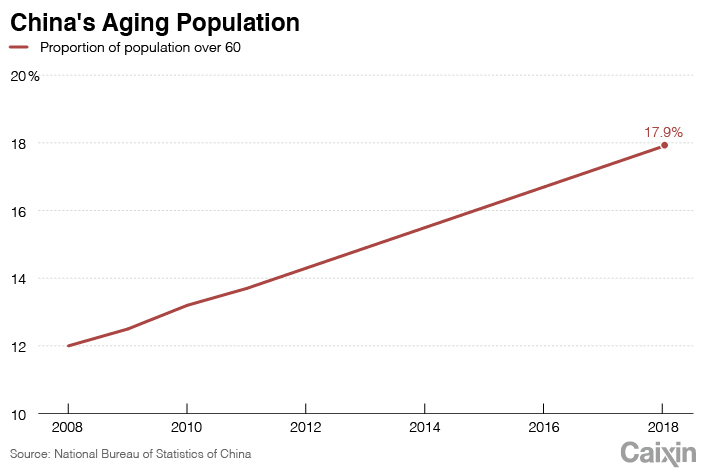 Other reports suggest that China’s population may already be shrinking. “The faster the birth population drops, the earlier the era of negative population growth will come,” Wang said.